The Math Department at Bolsa Grande offers free tutoring to students after school! 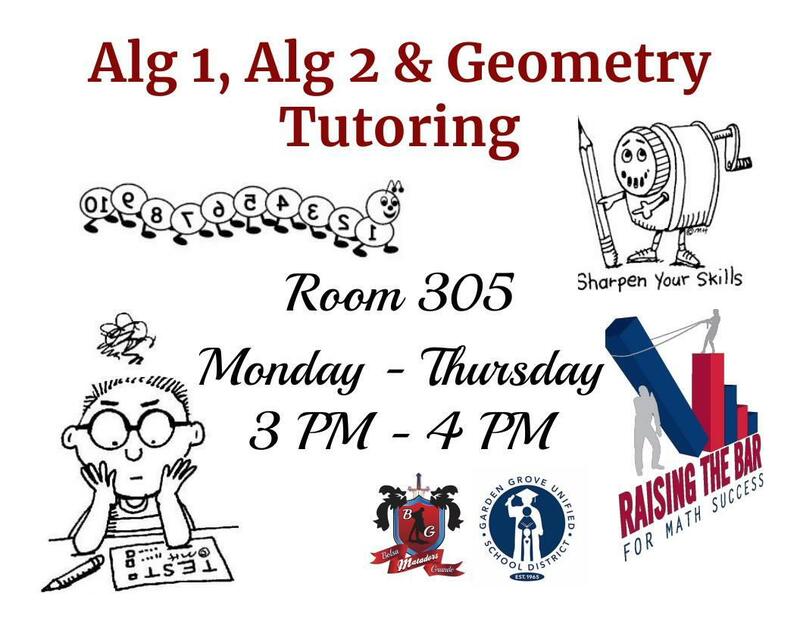 Tutoring is held Monday - Thursday from 3pm-4pm in Room 305. Bring your homework and your math book!.